Android has found its way everywhere else, so why not in the car as well? 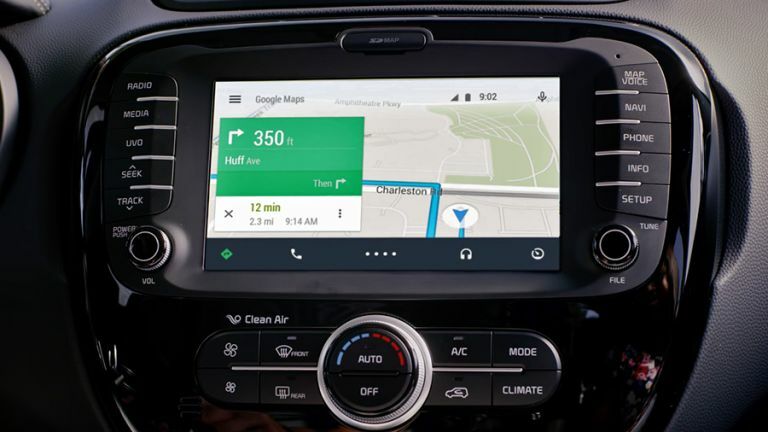 Android Auto is Google's version of the OS for the car, giving you a large, touch-friendly interface for getting directions, putting your tunes on, and keeping in touch while you're on the road. Unlike Apple's rival platform (see below), Android Auto is available as a downloadable app as well as coming baked in to modern-day car stereo units. That means you can make use of it today on your Android phone - and these are some of the reasons why you should. There's no great magic to Android Auto: it just adapts the standard Android interface to something that's designed with drivers in mind. Menus and icons are bigger and simpler, voice control is supported throughout, and there's a heavy dollop of Google-powered automation to try and guess what you need so you can keep your attention on the road. Maps, music (and podcast) apps, and communication are at the core of Android Auto - you can, for example, set a default reply template to be sent out whenever someone texts you, telling that person you're out on the road and will get back to them soon. When you go to the Auto phone app, meanwhile, all your recent calls are listed there for easy access. For apps to be available in Android Auto, their developers need to upgrade them to be compatible: the likes of Spotify, Deezer, Facebook Messenger and Skype have joined the usual suspects from Google. If you want to get started with Android Auto on your own device and in your own car, head to the Google Play Store to download the latest version. You can launch Android Auto manually or have it automatically appear when a Bluetooth device (like your car stereo) is detected - see below for more details on the app's settings. Apps can be chosen using the bar at the bottom (or on the right in landscape mode), and you need to hit the circular icon in the corner to go back to the original Android interface. Try tapping around the interface or shouting out a few commands if you need to keep your hands on the wheel - the "OK Google" voice shortcut is supported too, so you can say "OK Google, show me directions to London". Navigation automatically starts after a few seconds unless you cancel it, with automated actions the way of Android Auto. Throughout the Android Auto interface this theme is repeated: voice control, big menus, and intuitive responses that don't require manual actions. On the front screen is a Google Now-style interface that brings up some handy cards, like one showing the current weather forecast and others showing directions to places Google thinks you want to go to. There are a pile of settings to explore in Android Auto - but we'd recommend waiting until you can park up before checking them all out. Tap the hamburger menu button (top left) then choose Settings (you can also exit the app from here): the next screen lets you turn off "OK Google" detection, set your driving auto-reply message, and plenty more besides. Under the Phone screen settings heading you can choose a Bluetooth device to register to automatically launch the app (like your car stereo) as well as set Android Auto to turn Bluetooth on while it's running. There's also a toggle for keeping the screen on all the time while you're driving, so you can constantly refer back to directions or a music player. Another option limits Wi-Fi while driving, which might save a little on battery life while you're out on the road, if you don't have a charger handy. Meanwhile the Connected cars entry can be use54152d to connect your phone to an Android Auto-compatible car unit, if you've got one installed in your motor, putting the display up on the integrated screen. Apple has its own car dashboard interface, known as CarPlay - an adapted version of iOS just as Android Auto is an adapted version of Android. However, it's only available on car dashboard units right now, not as a separate app that'll run on your iPhone and iPad, so we couldn't test it out for this feature (but watch this space). At this early stage neither platform really has an advantage - if you have an iPhone then CarPlay will work very well with it, and if you have an Android device then Android Auto will run very well with that. A lot of car makers are developing head units that support both Android Auto and CarPlay so you can switch between them as you like. CarPlay includes all the features you would expect: a chunkier, simpler interface for accessing maps, music and other kinds of apps. Your iPhone (or iPad) essentially streams information to a CarPlay unit, so it's really just a way of controlling your mobile device on the go through an interface that's more suited to being operated while you're driving.